Anyone who has ever struggled to move a heavy object by hand will often, at the time, wish they had a sack truck available to them. 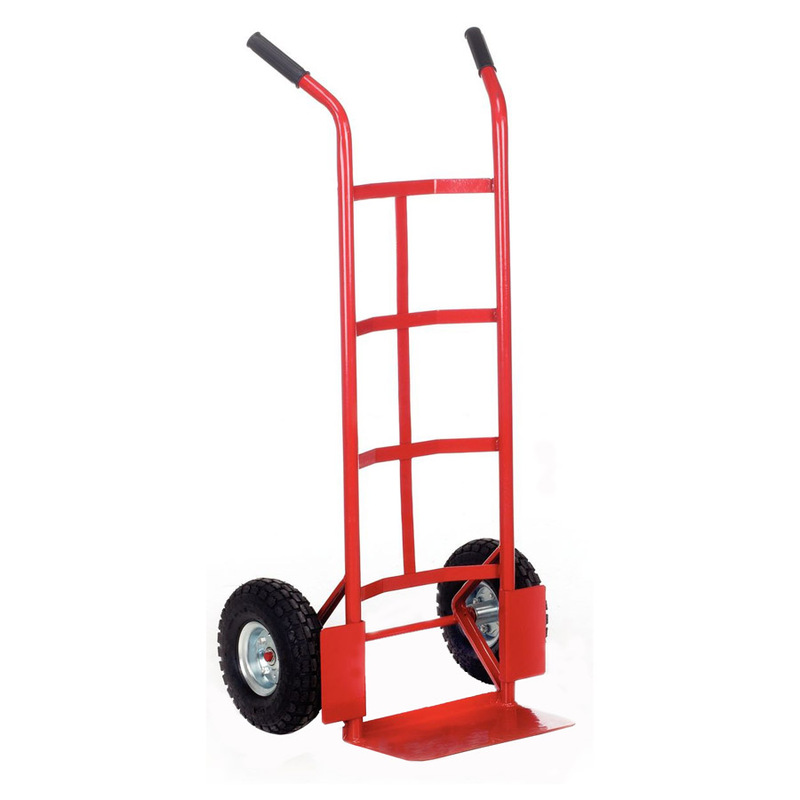 Well now is the time to rectify that with this great value entry level hand truck. This sturdy truck does exactly what it is designed for: transporting heavy goods with ease but don't think you are just getting a basic model here, it comes with a number of features that are usually only available on premium models. Pneumatic tyred wheels provide a smooth ride on uneven ground and practical wheel guards protect those tyres and help to support the goods too. A strong steel frame (painted red so that it is easier to find in a hurry) along with a solid toe plate enable the transporting of goods that can range from stacked boxes of components to large domestic appliances, with a capacity of 150kg there really isn't much that can't be carried on this handy little truck.